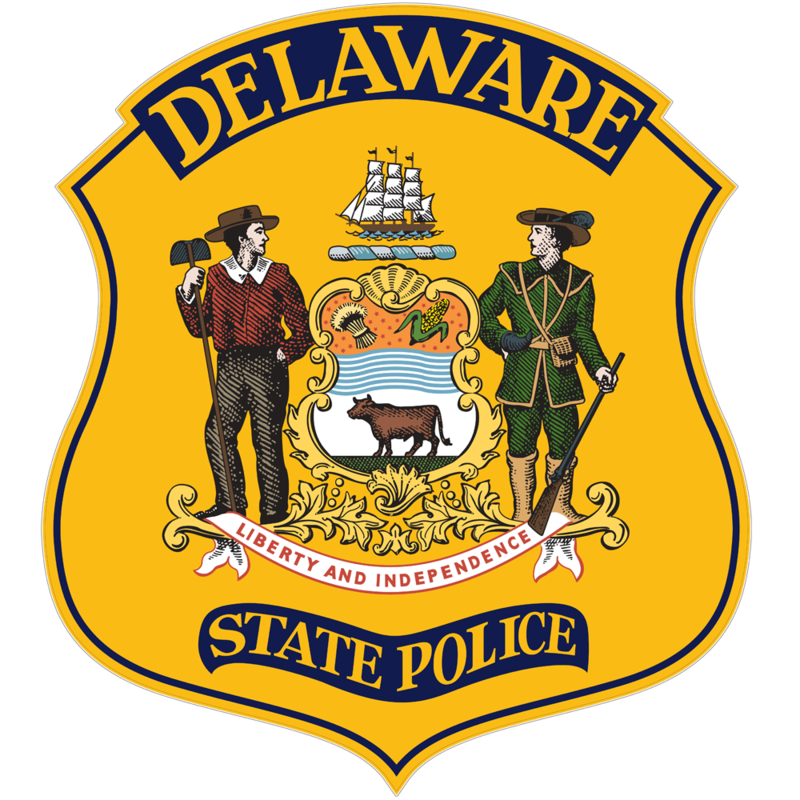 The Delaware State Police dates its inception to April 28, 1923. 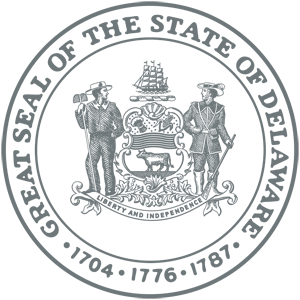 It is sometimes forgotten that, as with many organizations, the present evolves from a precursor. So it is with our organization. It had its beginnings in 1919 with the Delaware State Highway Police. 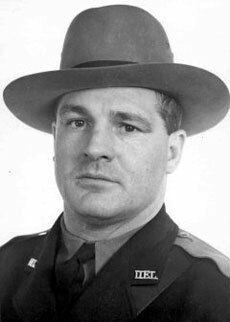 One of the State Highway Police’s brave officers was Officer Francis Ryan, the first state police officer to die in the line of duty. 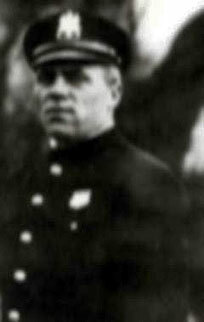 Officer Ryan was born December 7, 1891 and at the age of 31 joined the Highway Police in the summer of 1922. While attempting to apprehend a speeding motorist on the Philadelphia Pike, October 17, 1922, Officer Ryan’s motorcycle was struck by a vehicle traveling in the opposite direction. Severely injured, Officer Ryan was taken to a local doctor for immediate treatment. He was subsequently taken to Delaware Hospital where he succumbed to his injuries on November 2, 1922. Francis Ryan was buried in Glebe Cemetery, Old New Castle, Delaware. He is survived by his grandniece, Mrs. Lori (McCrone) Dougherty, her three sisters, Karen Doughtery, Diane McMinds and Colleen K. Stein and their children. No employment information concerning Officer Francis Ryan has been located to date. 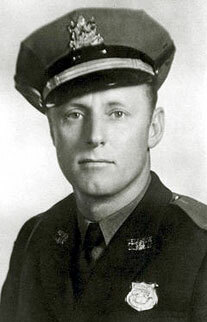 Sergeant Thomas Lamb, 43, a 17 year veteran of the Delaware State Police was struck with a heart attack while on duty at Troop 3 (Dover) on February 22, 1944. A native of Smyrna, Sergeant Lamb saw service in the U.S. Navy and Marine Corps prior to joining the state police. 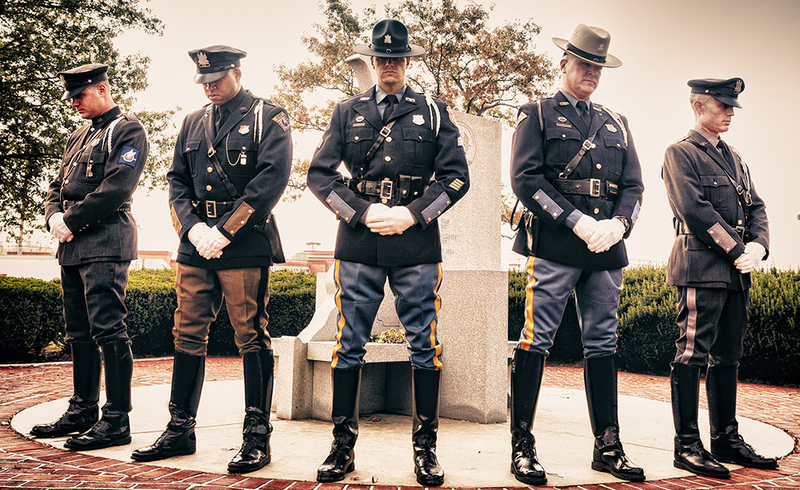 Superintendent Paul W. Haviland described Lamb’s death “…as a loss to the department and to me.” Thomas Lamb became a trooper, in 1927, four years after the inception of the present Delaware State Police. With his employment, he began a tradition which counts numerous members of the Lamb family (immediate and extended) as Delaware State Troopers. They include Fredrick K. Lamb (retired Major) James E. Turner, Sr. (retired Major) James E. Turner, Jr. (retired Captain) Charles L. Sipple (retired Captain) Charles G. Lamb (retired Colonel). Sergeant Thomas Lamb was laid to rest in February, 1944, at the Odd Fellows Cemetery, Smyrna, Delaware. He is survived by his wife, Elizabeth T., three sons, Thomas Jr., James and Charles, and two daughters, Margery and Rosemary. 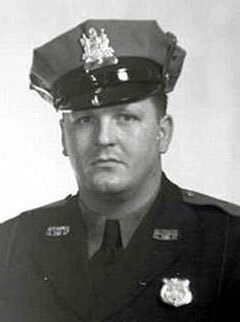 Trooper First Class Paul H. Sherman, a six year veteran of the Delaware State Police, was fatally injured in a collision with a Baltimore and Ohio Railroad passenger train on October 16, 1945. He was pulled from the wreckage and rushed to the Wilmington General Hospital where he expired. Trooper Sherman was born August 7, 1909 in Gettysburg, Pennsylvania. 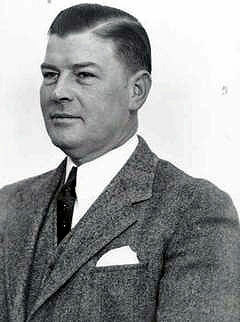 He studied law at Dickinson College, Carlisle, Pennsylvania and business at Columbia University in New York City prior to becoming a member of the state police. At the time of his death Trooper Sherman was married to Margaret Elizabeth. The couple had two children, John Henry and Sandra Lee. The funeral for Paul Sherman was held at the Hearn Funeral Home and with full honors his body was laid to rest at Gracelawn Memorial Park, New Castle, Delaware. 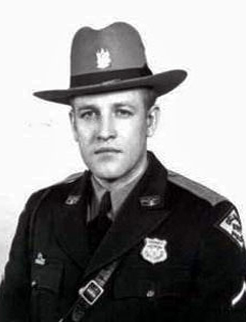 Trooper James D. Orvis, 34 years, of the Delaware State Police died on November 17, 1950 in Boston, Massachusetts. Detective Orvis had just completed the Francis Glessner Lee legal medicine course. As he exited the facility at the Harvard Medical College, Orvis collapsed and died. Detective Orvis’ body was returned to his home in Clayton, Delaware for burial. On November 20, 1950 funeral services were held at the Wells-Faries Funeral home. Internment of Trooper Orvis took place at the Holy Cross Cemetery, Dover. 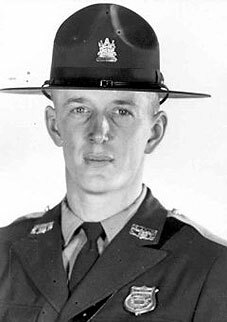 Trooper James Orvis was survived by his wife, Esther Shortall and a son, James Jr.
Trooper First Class William F. Mayer was 28 years old on that fateful night in August, 1955. He had stopped the driver of a pickup truck to warn him that his tail light was not working and lost his life. Trooper Mayer was northbound on U.S. Route 13 at Smyrna, near Duck Creek Bridge, when a tractor trailer struck the vehicle he had stopped, pinning him between the two. William Mayer was born in Wilmington in 1927, attended Wilmington High School and Rutgers University. He met his wife Ria, in Heidelberg, Germany, in the fall of 1946 while in the military. Ria was a displaced person from Latvia. The two corresponded from 1947-1949 until Ria finally arrived in America. After a brief courtship, they married in April, 1950. A member of the Delaware State Police since January, 1949, Trooper Mayer and family moved to Dover where he was stationed at Troop 3. As Ria relates Those short years were so happy for both of us. We hoped for a long life –to grow old together. It wasn’t to be…I know he was proud to be a Delaware State Policeman and loved his work. But…he was much too young to die. Trooper William Mayer was laid to rest in the Odd Fellows Cemetery, Dover, Delaware. He is survived by his wife Ria Mayer, his parents, August P. and Mildred Mayer, and three sisters, Elizabeth, Myrtle, and Margaret. Harold B. Rupert was born on March 26, 1928 to Harold and Catherine Rupert in Reading, Pennsylvania. He was one of three children, his siblings being Katherine Sudduth and Garrison Rupert. In 1946 he graduated from Alexis I. DuPont High School in Wilmington and enlisted in the United States Marine Corps. In November 1948, he married the former Abigail Piper. During the Korean War he re-enlisted in the Marine Corps. Upon the completion of his tour of duty; he returned to Delaware and found employment with the DuPont Company. While working at the DuPont company. Harold continually dreamed of becoming a Delaware State Trooper. During his youth, one of his role models was his Uncle Harold McEwee of the Pennsylvania State Police. Becoming a state trooper was always one of his greatest aspirations. His dream came true when he graduated from the Delaware State Police Recruit School on September 27, 1956. Stationed at Troop 1 at Penny Hill in Wilmington, his interest was particularly aimed at the K-9 Division. He trained and worked with one of his new partners, Rocky, a German shepherd. One of his favorite pastimes was scuba diving along with his fellow troopers, Jim Maucher, John VanSant and Rick Palmer. When he was not diving he greatly enjoyed fishing and hunting. 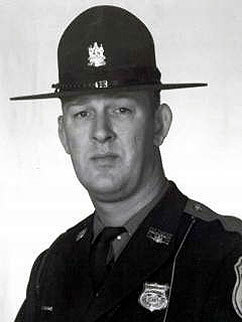 Trooper Rupert was killed in the line of duty, in an automobile accident, during a high speed chase on April 19, 1962. At the age of 34 he left behind his wife Abigail and five daughters; ages ten, nine, three, one and a baby to be born the following December. His children are: Colleen married Dennis Quinn and has four sons, Eric Jeremy, Sean and Christopher; Lorraine has four children, William, Kenneth, Joshua and Abigail; Patricia married C. Michael Scott and has one child, Ashley; Maria married Robert Thomas and has three children, Christina, Rebecca and Robert; and Kathleen married Eric Anderson and has two children, Emma and Eric. Some kids dream of becoming star athletes but Robert Paris’ childhood dream was to be a state policeman. “He wanted to join the State Police ever since he was a child” relates his dad, Ralph Paris. The dream came true. 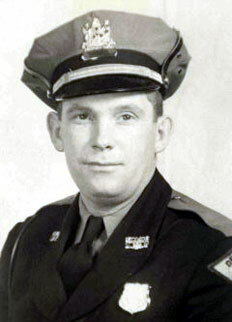 Robert Paris joined the State Police on May 1, 1959. 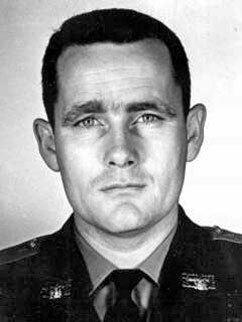 On October 17, 1963, Detective Robert Paris made the supreme sacrifice – he gave his life. Assigned with Trooper Robert Forenski to investigate the burglary of television sets from motels on the DuPont Highway in New Castle, Delaware, Trooper Paris was murdered by three armed perpetrators. The entire state of Delaware was shocked by this senseless tragedy. The following statement was issued by the Governor’s office concerning Robert Paris’ death: The death of Robert Paris is a misfortune of the greatest magnitude…Our heartfelt sympathy is extended to the family and friends of this dedicated and courageous man who gave his life in the line of duty. Mourners by the thousand paid tribute to Trooper Paris at his funeral at St. Elizabeth’s Church. Father Karnis began the eulogy “It is a divine command that men shall return to their maker…Trooper Paris died while serving as an instrument of Almighty God in keeping law and order. Policemen know what this job means and they love it as Trooper Paris did…” Robert Paris was interred for eternity in the All Saints Cemetery Wilmington, Delaware. Those who knew him characterize Trooper Paris as a hard worker with a good sense of humor. “He was always smiling ear to ear…” Neighbors stated, at the time of his death, “…Everyone loved him…He was always getting the boys in the neighborhood to play ball or something…” Trooper Paris was survived by his wife, Sally Ann, and two daughters Kim and Beth. Kim is a graduate of the University of Delaware and is now Kim Paris Stitik. She has two children, Paul and Hunter. Beth Glyn Paris is a graduate of St. Francis School of Medical Technology and is employed by Dade International. 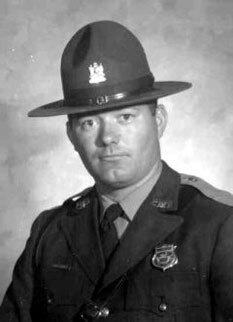 Trooper William C Keller, 23, a member of the Delaware State Police drug unit, was killed in a fatal accident at Tybouts Corner on January 22, 1971. 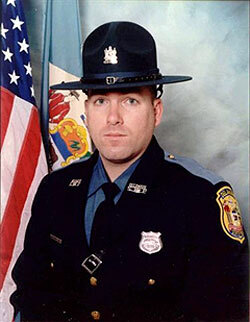 Trooper Keller, at the time of his death, was enroute to the Dover area when a truck pulled into his path. William Keller joined the Delaware State Police, January 1, 1969, fulfilling a lifelong dream. His wife, Janet Walls Keller, bore him a beautiful daughter, Nicole. Both Janet and Nicole were a source of great happiness and pride for Bill. He was filled with love and happiness. Though his lifetime was short as a trooper, he was devoted and very dedicated, not only to his profession but, also, to his family and friends. He was, his Mom relates, A dear and proud American, hoping to eradicate the evils of drugs and all crime. He would be proud of the profession Nicole, his daughter, chose as a counselor and Janet, as a teacher of little children, both serving others. Trooper William Keller was buried in Dover following services at the Trader Funeral Home. In addition to his wife and daughter, he is survived by his parents, Thomas and Delsie, and two brothers, Thomas and James. 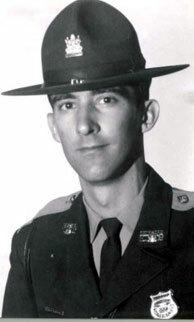 At 3:41 A.M. on January 6, 1972 the following message was broadcast over the State Police radio: “To all cars, Trooper Yarrington expired at 2:45 A.M. this morning.” Trooper Yarrington, 24, a fellow classmate of Trooper Ronald Carey, became the second policeman killed in the hold-ups of two Pennsylvania — Delaware state line motels. Nationwide attention was focused on Delaware, January 8-9, 1972, as funeral rites were held for two officers. 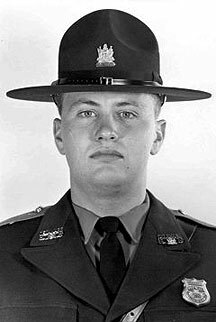 Trooper Yarrington and Carey are only the second and third troopers to die by gunshot since the force was formed in 1923. Governor Russell Peterson expressed sorrow over the deaths. “This is a tragic reminder of the dangerous and courageous job that’s being done every day by out Delaware State Police. On behalf of the people of Delaware, I extend my deepest sympathy…” Trooper Yarrington was, according to Lt. Raymond Deputy, the opposite of Trooper Carey. Yarrington was, to quote the Lieutenant, “a fun loving guy who got a big kick out of everything.” David Yarrington, as remembered by a public school classmate, was “…the toughest kid around until the 7th grade and then he suddenly calmed down.” He became active in the Assembly of God Church and spoke of becoming a minister. 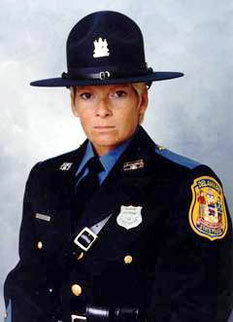 David Yarrington is survived by his wife, Janice M. and a son David Jr. Trooper Yarrington was laid to rest in burial ceremonies at Silverbrook Cemetery, Wilmington, Delaware. 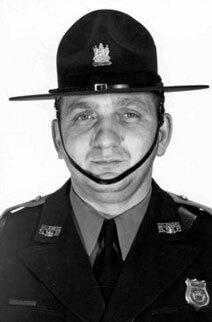 On Friday, June 2, 1972 Trooper George Emory was killed in an accident on S. Route 13 near Harrington. George Emory was on his way home after a tour of duty at Troop 3 near Camden when his patrol vehicle, which was part of a take-home program, was struck in the rear. Trooper Emory was removed from the accident scene and taken to Milford Memorial Hospital where he was pronounced dead. George Emory was born in Lewes, Delaware. He was a graduate of Seaford High School and served with the U.S. Army in Vietnam. Trooper Emory was awarded the bronze star and two presidential unit citations. 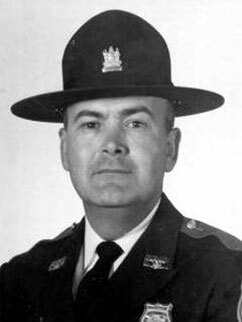 He was appointed a State Trooper on May 15, 1970. Trooper Emory was not married and is survived by his parents, Mr. and Mrs. Joseph Emory, two brothers, Christopher and A. Wade, and a sister, Barbara Ammons. Services were held at St. Luke’s Church with internment in the church cemetery. On May 12, 1979 Lieutenant William Jearman, 42, died in the Delaware Division Hospital, Wilmington, Delaware after a short illness. He was serving, at the time of his death, as the Assistant Director of the Traffic Section for the Delaware State Police. Lt. Jearman was at home, preparing for departure to attend an out-of-state law enforcement course. In 1963, William Jearman entered police work as a patrolman with the Ocean City, Maryland Police Department. The following year he was appointed to the Delaware State Police. Lieutenant Jearman is survived by his wife Alice and two daughters, Tracy and Patricia. Following funeral services, he was buried in the Roxanna Cemetery, Roxanna, Delaware. 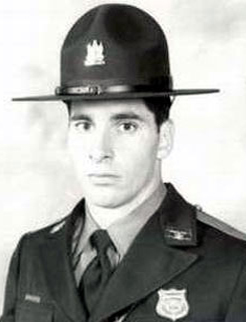 On November 18, 1987 Corporal David Pulling, 31, a six-year veteran of the Delaware State Police was killed when an explosive device detonated at the F.B.I. Bomb Data Training Center, Redstone Arsenal, Huntsville, Alabama. Corporal Pulling joined the State Police on September 8, 1981 and during his career was assigned to the K-9 unit, SORT Unit, and the Traffic Division at Troop 3, Camden. David Pulling was born in Fort Lauderdale, Florida on January 22, 1956. He moved to Dover in 1968 with his parents, Richard and Jacqueline, and his brother, Richard, Jr. Corporal Pulling attended Dover High School and the University of Delaware. After graduation David worked with his brother, for four years, at the Petersburg, Virginia Police Department. He moved back to Delaware in 1981, joining the Delaware State Police. Corporal Pulling was married to his wife Elizabeth in 1981 and was the father of two boys, George, his step son, and Jonathan. The boys were very important to Dave. Funeral Services were held at the Odds Fellows Cemetery, Camden, Delaware. 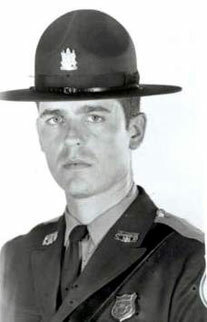 Trooper Kevin J. Mallon, 24, was killed on March 20, 1990 in a fatal accident on Delaware Route 16, west of Milton. Flags at State Police barracks were flown at half-staff in honor of the trooper who died when his patrol vehicle ran off the road and struck a tree. Trooper Mallon was enroute to an alarm at a photography studio at the time of his death. Kevin Mallon was born on April 25, 1965 in Meadowbrook, Pennsylvania. He was a graduate of Bishop Shanahan High School and Kutztown University, receiving a B.S. in Criminal Justice (1987). 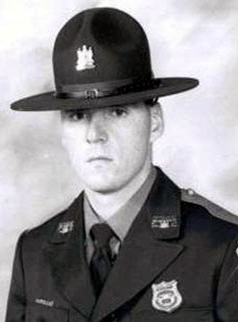 Trooper Mallon was employed at the Chester County Juvenile Detention Center prior to his appointment to the Delaware State Police in July, 1989. Kevin enjoyed all sports, especially the Philadelphia Eagles. He is deeply missed by his mother, Betty, stepfather, Richard, and his brother and sister, Ed and Kathleen. A ranking fellow officer remarked that, “Kevin, in the short period of time he was with the troop, had developed a lot of friends and was seen as a bright and energetic person with an excellent future ahead of him… (His death) is a tragedy that will be with us for a long time…” Kevin Mallon was laid to rest, on a snowy afternoon, (March 24, 1990), in the cemetery at St. Thomas The Apostle, Glen Mills, Pennsylvania. 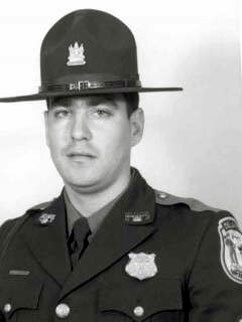 Trooper Gerard Dowd, 28, was killed in a fatal accident, September 11, 1990, when his patrol vehicle collided with a tractor-trailer at the intersection of Delaware Route 54 and Maryland 353. He was, at the time of his death, responding to an emergency call to assist a fellow officer at a fight in progress near Frankford, Delaware. Gerry Dowd was assigned to the patrol division at Troop 5, Bridgeville. As flags waved in the breezy afternoon and a bagpipe player filled the air with the song “Amazing Grace”, Trooper Dowd was buried, September 15, 1990, at Lady Lourdes Cemetery, Seaford. Putting perspective to the funeral, Sergeant David Citro, P.I.O., stated, “We had one funeral six months ago for a trooper and we hadn’t had one in years. People are just stunned by it (Dowd’s death). It allows us to sit back and reflect on how precious life is.” Trooper Dowd is survived by his parents, Robert F. and Jean Cameron; two brothers Robert J. and Frank Jr., and three sisters, Molly, Katy and Ann. 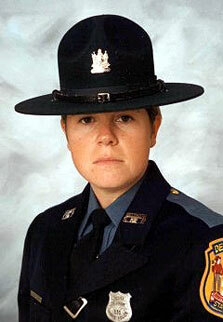 On February 6, 2001, Corporal Frances Collender, 39 became the second female State Trooper to die in the line of duty. She was killed as she attempted to assist a disabled motorist on Delaware Route 1 south of Odessa. Severely injured when a passing vehicle struck her patrol car, she died the same morning. Franny was assigned to Troop 9 and had been with the force since January 1997. Captain David Baylor, Troop 9 voiced these thoughts regarding Corporal Collender. He stated Her actions today were consistent with how she was as a trooper. What she did was protect somebody else from getting hurt, and it wound up taking her life…” Her funeral was held February 9, 2001 at Our Lady of Fatima Church in Wilmington Manor. Franny Collender was laid to rest at Gracelawn Memorial Park. She is survived by her daughters; Samantha and Taylor; her parents Joseph and Eleanor Allione; her brother and two sisters. On July 18, 2004, Corporal Christopher Shea, 31, was tragically killed by a repeated drunk driver on Route 1. A car that had been involved in a hit and run accident just moments before was driving northbound on the southbound side of Route 1. Corporal Shea was driving into Sussex County and had not heard dispatch make the broadcast since each county broadcast on a different channel. Shea was coming around a bend and tried to avoid the car, that he saw at the last minute but the two cars hit head on. The collision instantly killed the other driver and Corporal Shea was taken to Milford Memorial and pronounced dead. Corporal Shea was first assigned to TROOP 5 in Bridgeville, Delaware, after coming on the force in July 2000 but after a leave of absence for a broken pelvis was reassigned to Troop 7 so he could be closer to his family. Corporal Shea had just been promoted to Corporal on the Friday before he died, and was an esteemed law enforcement officer. Shea is a former U.S. Marine and came from a large family in New Jersey. He married Susan Cleaver Shea of Lewes whom he had met while he was a security officer at Farleigh-Dickinson University in New Jersey. They resided in Milton Delaware and had two children a son, Christopher Jr. and a daughter Elizabeth. Services for Corporal Shea were held on July 22, 2004 at Bethel United Methodist Church in Lewes, Delaware and he was laid to rest in Bethel United Methodist Cemetery. Cpl/1 Stephen J. Ballard, 32, was shot and killed on Wednesday, April 26, 2017. 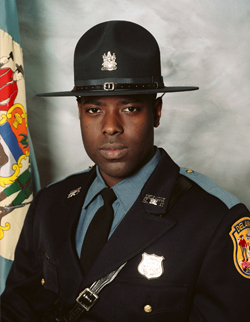 Stephen Ballard joined the ranks of the Delaware State Police on October 31, 2008 as a member of the 80th Delaware State Police Recruit Class. At the time of his death, Stephen was assigned to the Patrol Division at Troop 2, Glasgow. He had previously served at Troop 4, Georgetown and Troop 3, Camden. Cpl/1 Ballard was a member of the DSP Conflict Management Team and had temporary assignments to the Drug Diversion Unit and as a School Resource Officer. He was also a mentor for children within several communities. On that fatal day, Cpl/1 Ballard was investigating a suspicious vehicle complaint at the Wawa store in Bear. The vehicle in question was occupied by two individuals. After making contact with the persons in question, Cpl/1 Ballard ordered the passenger out of the automobile. As the passenger exited the vehicle he engaged Ballard in a hostile manner. A witness stated the suspect, later identified as Burgon Sealey Jr., was observed turning on Cpl/1 Ballard, removing a handgun from his waistband, and shooting at the Trooper. The bullets fired struck Stephen in the upper body. As Cpl/1 Ballard attempted to find concealment, he stumbled to the ground. As he lay on the pavement, Cpl/1 Ballard was shot several more times by Sealey. Friday, May 5th, began as a dark and dreary day. A somber tone was set for the Celebration of Life Service that was held at the Chase Center on the Riverfront. Rain fell upon those family members, friends, indebted citizens and thousands of police officers from 36 states who gathered to pay homage to Cpl/1 Stephan J. Ballard. Governor John C. Carney, Jr. remarked that, “Corporal Ballard dedicated his career to noble service, putting his life on the line to protect the rest of us. We owe Corporal Ballard- and all of the officers who serve on our behalf- an enormous debt of gratitude. We should remain mindful of their service today and every day.” Cpl/1 Ballard was laid to rest in Gracelawn Memorial Park. Colonel Nathaniel McQueen Jr., Superintendent of the Delaware State Police stated; Stephen was a dedicated Trooper who exemplified the highest standards and dedication to serving the citizens of Delaware. His life and his service touched every County in this State. He had the true heart of a servant. Stephen is survived by his wife, Louise Cummings Ballard; his daughter, Abigail Lewis; parents, Kevin and Robin Ballard; paternal grandmother, Ruth Noble; mother-in-law Sharon Cummings; his fellow Delaware State Troopers and a grateful State and Nation.